The months leading up to your big day are often hectic and your honeymoon is the time to unwind and simply enjoy married life. 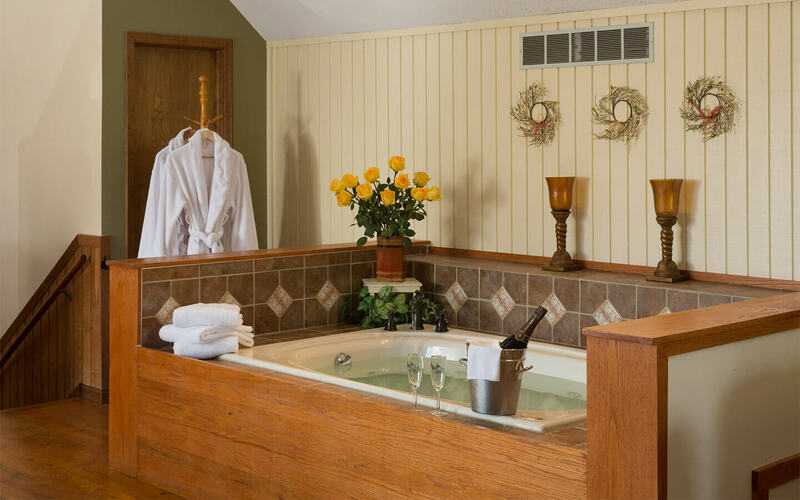 Let the tranquil ponds and wooded trails soak away the wedding stress with a Kansas honeymoon in the peaceful countryside. 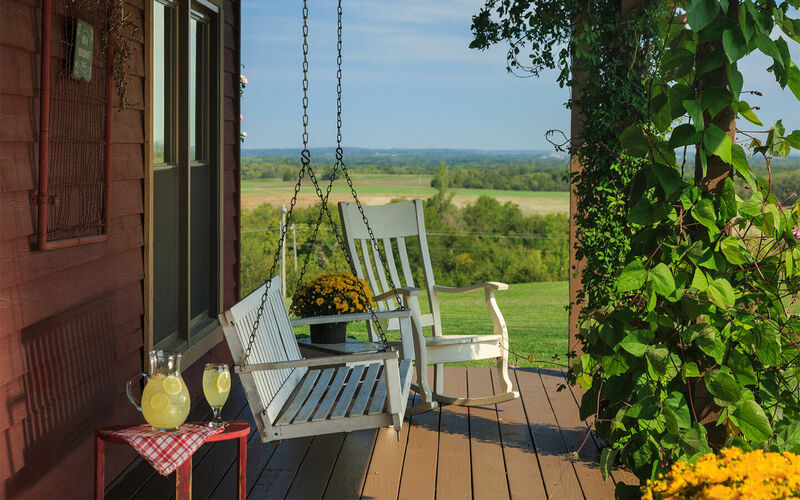 Honeymoons on our country estate are about enjoying the simple things in life: Long walks through the forest, front-porch lounging, stargazing, and farm-fresh meals prepared with ingredients grown in our very own gardens. The days are a little slower and life just feels easier surrounded by natural beauty – what better way to start this new chapter as a couple? 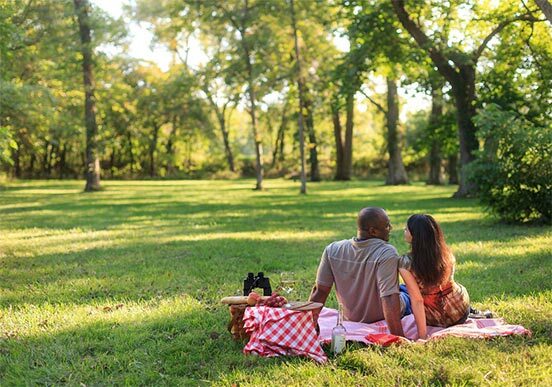 Allow us to pack a picnic lunch for you to enjoy in the secluded woods of our 100-acre property. 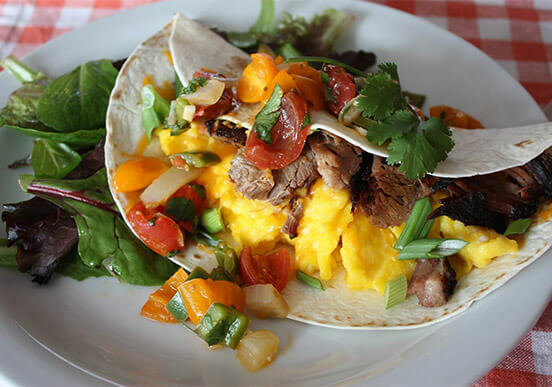 No need to get out of bed – have a full gourmet breakfast delivered to your room. Indulge in a romantic couple’s massage in our on-site spa. 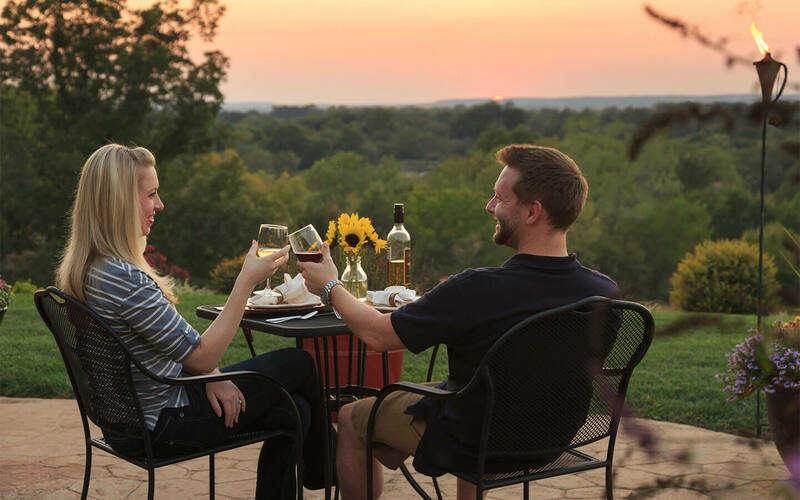 Start married life off right with a relaxing Kansas honeymoon away from it all. Make the planning process quick and easy with our Honeymoon Package or coordinate with our concierge to design a trip around your needs. Price DOES NOT include tax, gratuity or fees.